GEORGE ONSLOW (1784-1853) is a very special figure in the history of music : largely and unanimously acknowledged when he was alive, he is now nearly forgotten and his works, mainly devoted to string chamber music, are almost missing from the repertoire, partly due to the fact that they haven't been available in a modern edition for more than a century. Stemming from an old aristocratic British family, several members of whom played an important part in British political life (three of them were Speaker at the Chamber of Commons), George Onslow was born in Clermont-Ferrand (center of France) in 1784. His father, Edward, had settled there after a family scandal which pushed him to leave his mother country. The composer's grand-father (left) and father (right). Quickly integrated into the Clermont nobility, the Onslows lead a peaceful life until the Revolution of 1789 which compromises their safety. 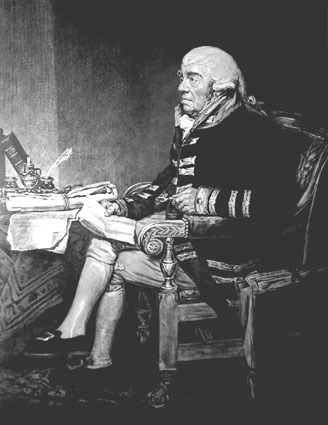 Jailed in 1793 because of his nationality and in spite of his friendship with Couthon, whose freemason brother he was, Edward Onslow was forced into exile in 1797. His first stages were Rotterdam and Hambourg. His older son, George, joins him into what is going to be a grand study tour for him. Between 1798 and 1806 he studies the piano with several masters, especially Cramer, Dussek and Hüllmandel who were teaching in London. Stays in Germany and Austria enable him to improve his training as an instrumentalist. His father exile ended in 1804. Onslow did not mean to become an artist, even less a composer : studying the piano was only part of his education, as well as mathematics, History, fencing, horse riding, drawing (two of his brothers devoted themselves to painting), etc. In his parent's opinion, it was more a drawing-room gift than a professional ability. Onslow never gave a recital as a pianist : he only accepted to show in the provincial town of Clermont how he could improvise (which he never did in Paris), and he also practised the cello as an amateur in order to be part of a quartet of friends with whom he played the masters' repertoire (Mozart, Haydn, and young Beethoven). Onslow discovers his vocation as a composer while listening to the Overture of an opera by Méhul, called Stratonice. He is then 22 years of age. 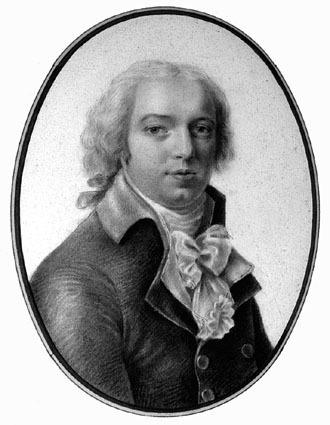 His first attemps, a set of three string quintets, is so successful that his friends, Pleyel, his publisher, and his interpreters induce him to persevere. Many other chamber pieces follow, but soon Onslow realizes his lacks. Thus he decides to complete his theoretical knowledge by studying with Anton Reicha, who was his only master in composition. His influence would be decisiven esthétically as well as stylistically. Onslow then, launches into a brilliant careern which turns him into a leading composer of musical life in the first half of nineteenth century. He will be played by the greatest musicians of his time and his name is next to Mozart, Haydn and Beethoven, of whom people say he is the only worthy successor. Nicknamed "the French Beethoven", he is the only musician, at least in France, who devotes himself to chamber music. Composing 36 quartets and 34 quintets, Onslow leaves us exceptionnal works which will supply main European concert societies for more than fifty years. And he will enrich editors even in the United States (Schirmer). Onslow mainly becomes a national glory in Germany where he is much admired and praised. He is very famous among the musicians and the audience. Mendelssohn and Schumann witnessed this live. His contemporaries admire him and he is wodely edited, but he is also acknowledged by the institutions : as a member of most European societies (London in 1829 along with Mendelssohn, Rotterdam in 1834, Vienna in 1836, Roma in 1839, Florence in 1839, Cologne in 1847, Strasbourg in 1849, and Stockholm in 1851), he was elected in 1842 at the Fine Arts Academy, in particular before Berlioz. 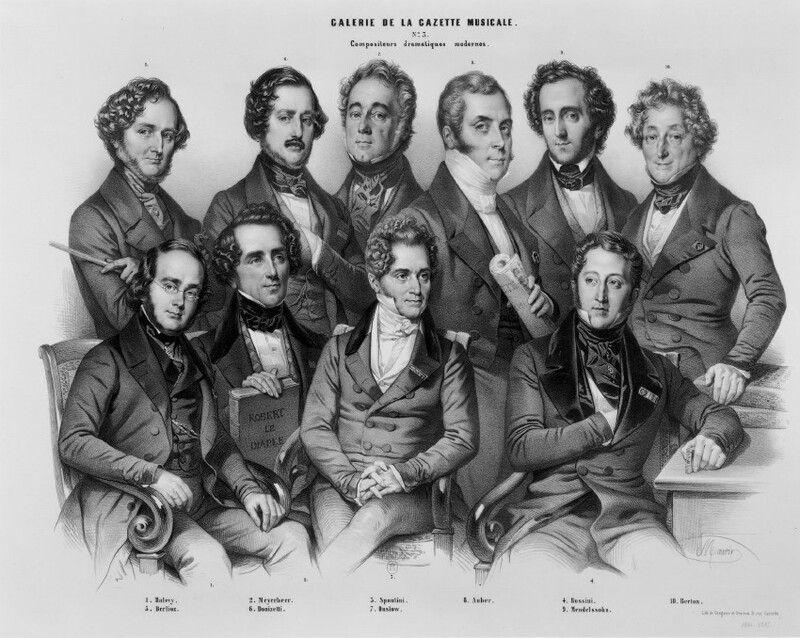 "Galery of the modern lyric composers" by A. Maurin (1844). 2nd row : Berlioz, Donizetti, ONSLOW, Auber, Mendelssohn, Berton. At a time when, in Paris, vaudeville and opera comique were most favoured, Onslow embodies the continuity of the great classic school and is an alibi for these who think music is decadent while musical life is "privatised". The "soirées de quatuors" of Baillot in Paris, Lindley in London and Zimmerman in Berlin were thought to be the last refuges of "true music". Onslow became the herald of those who defended tradition and instrumental excellence against such drifts as romances, quadrilles and other entertainment compositions. Onslow composed no less than three operas though, out of curiosity and because he wanted enhance his fame (The Alcade of Vega, 1824 ; The Pedlar, 1827 ; The Duke of Guise, 1837). Although these works were given at the "salle Favart", those who wirnessed their creation unanimously declared they could have been given at the "Opera". 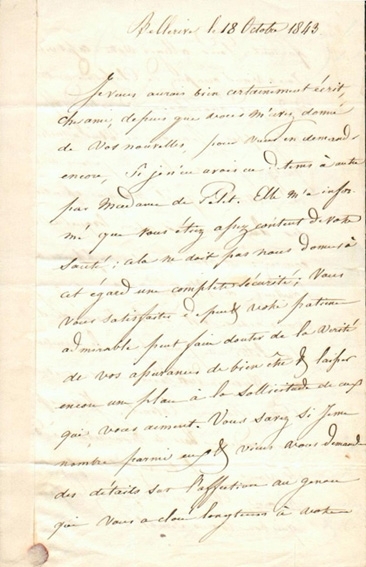 Onslow's lyric scores were dense and unusually complex for the audience, and since their libretto were not of great value (a redhibitory defect in those days, especially in France), the operas were praised out of regards only, although the critics loved them and although Berlioz himself enthusiastically defended the Duke of Guise. In his instrumental and orchestral music (4 symphonies), Onslow announces romanticism by the richness of his harmony, the preponderance of chromatisms, his stormlike tormented inspiration and the fervour of his lyrical themes. One of the reasons why interpreters gave up playing his quartets and quintets (which was already known in his days) was because they were so difficult to perform. His life was mainly quiet and exempt of concerns : only once he was victim of a serious accident : during a hunting in 1829, he was badly injured by a shot. He could have died, and became deaf in the left ear as a result of this accident which inspired him the three last movements of his quintet opus 38, entitled "The bullet". Although he had a brilliant international career and though he was required more and more often, Onslow always remained faithful to Auvergne, since, born in Clermont-Ferrand, he also died in the same town. Which make him apart from artists who moved to Paris. He was deeply attached to his hometown and well-known for his generosity (charity concerts, help to poor people, etc.). By his courteous and gracious behaviour, Onslow gave Clermont all the prestige of his name, but his music was never really appreciated and understood. Onslow was very involved in the modest musical life of his province : his most important project was the foundation of a Philharmonic Society in 1839. He was a respected and admired castle owner : a real gentleman-farmer, as talented running his properties as in negociating contracts with Breitkopf & Härtel or Schlesinger. Although he had a property in the countryside (castle of Chalendrat, then castle of Bellerive), he always kept his apartments in Clermont : first in Michel de l'Hospital square (called Wood market square at the begenning of the 19th century), then number 2 Blaise Pascal street where he died on October 3rd 1853. He rests at the Carmes cemetary, next to some of the well-know families in Auvergne. We thank Baudime Jam who was so kind as to write this biographic summary (translated by Patrick Marcel). We invite our visitors to read his exclusive interview. All illustrations : © Les Éditions du Mélophile. 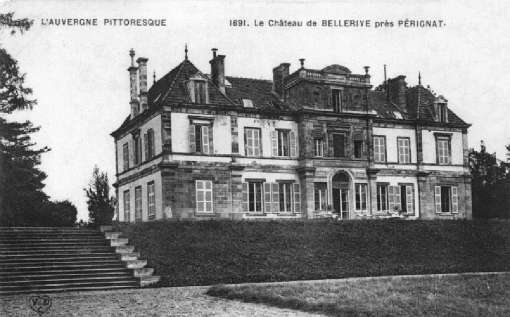 The castle of Bellerive where George Onslow stayed until his death. Nothing remains from it today. and recently discovered. (Private collection).